Looks like another Sherlock Holmes movie is on the way. Back in March Robert Downey Jr. expressed interest in doing a third movie and it sounds like now that his contract with Marvel is up he’s jumping back on another franchise. The Hollywood Reporter is reporting that Warner Bros has set a Christmas Day in 2020 release for the third movie in the series. They are confirming that Downey Jr. and Jude Law will both return to a script by Chris Brancato. The first Sherlock Holmes came out back in 2009 and brought in a solid box office of $524 million on a rumored budget of $90 million. It wasn’t completely beloved by the critics but it’s sitting at a solid 70% on Rotten Tomatoes with most of the praise coming down to Downey Jr. and Law in their respective roles. 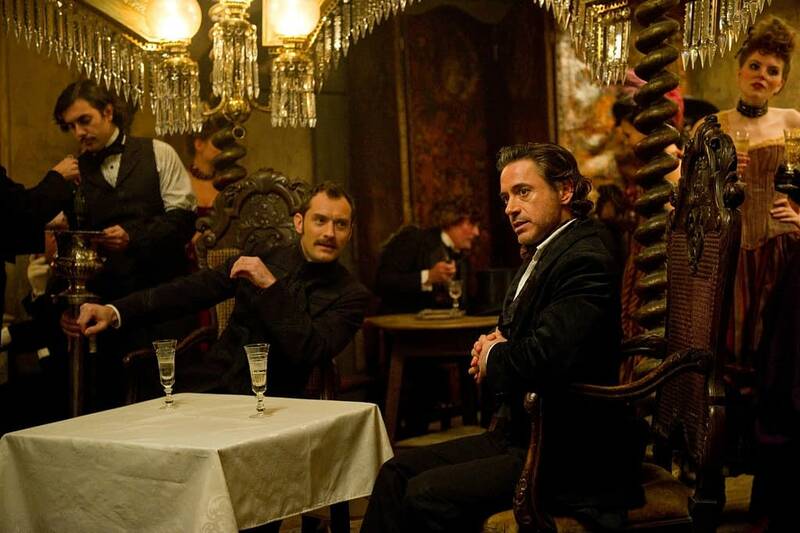 The sequel Sherlock Holmes: A Game of Shadows, which came out in 2011, had a larger budget of $125 million but still pulled in $545 million worldwide. However, the reviews were not nearly as high with a Rotten Tomatoes score of 59%. The movie might have some stiff competition already with the big release being Avatar 2 and the sequel to Sing. It’s still early and more movies will be added since Christmas is becoming a popular time to release movies. Back in 2011 the movie got buried at the box office thanks mostly to Mission: Impossible – Ghost Protocol so Warner Bros is going to have to be careful to make sure something like that doesn’t happen again. Robert Downey Jr. Will Host YouTube Docu-Series About A.I.